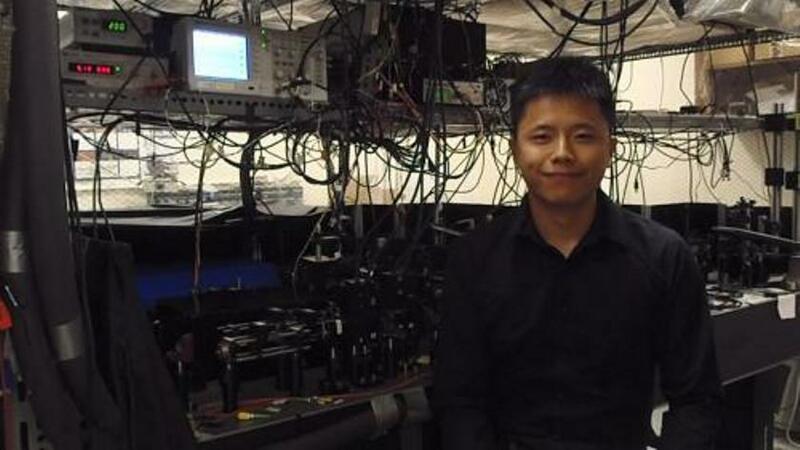 As a researcher in the fledgling field of quantum information, Xingxing Xing has always seen his work as a thing of the future. But this year Xing will have the rare opportunity to use his specialized expertise to create a practical product that could benefit thousands of patients around the world. Xing is one of eight researchers across Ontario who has been selected as an Ontario Brain Institute (OBI) Entrepreneur, receiving a year-long grant from OBI to develop and commercialize an important neuroscience technology. Learn about other OBI Entrepreneurs. The OBI Entrepreneurs program is designed to give researchers the practical skills and support they need to translate basic science into products that can have a widespread impact. For Xing, this will mean finding a way to make ultrasound technology useful for brain imaging – a task that has eluded the health-care community for more than 50 years. While ultrasound is one of the most widely used diagnostic tools in medicine, it’s still ineffective for areas of the body covered by dense substances, like bone. 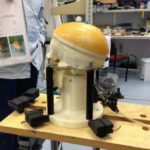 The hope is that Xing’s insight into measuring and manipulating light could result in a way to manage ultrasound distortion through the skull, allowing for a clear image of the brain. Cynthia Goh, a professor of Chemistry and director of the IOS at the University of Toronto, is an entrepreneur, researcher, mentor and the visionary behind Techno, a month-long, hands-on learning experience for “technopreneurs” interested in creating innovative solutions to today’s pressing problems. Now in its third year, Techno2012 includes 15 teams of graduate students and recent graduates who are in various stages of commercializing technology. OBI Entrepreneurs have joined Techno2012 as part of a partnership with IOS, where they are refining their ideas and beginning to build their potential start-up companies. OBI Entrepreneurs vary widely in their business experience. For Xing, Techno2012 represents his first formal education about the world of entrepreneurship. OBI has partnered with similar mentorship services across Ontario to ensure that entrepreneurs are supported in their home communities. It has also partnered with the Ontario Centres of Excellence to co-fund several entrepreneurs. OBI is seeking ongoing partnership and support for OBI Entrepreneurs. Learn more.